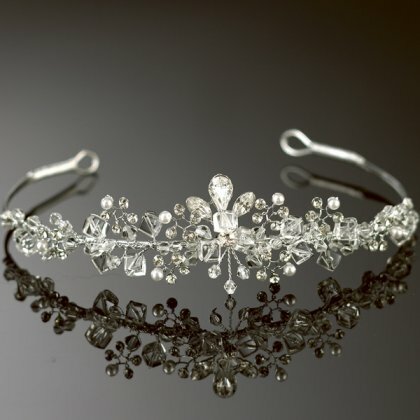 Warren York tiara on silver band. Chunks of crystal with flowers made of 4 diamante, 1 crystal and 1 off white/pale ivory pearl. Low level band which extends on both sides - no straight edge. 3.8cm at widest point.